If you or your loved one are considering residential aged care we’ve listed five important steps to help you find the right option for you. To find out if you are eligible to move into an aged care home you’ll need to meet with a member of the Aged Care Assessment Team (ACAT). A member of your local ACAT (or ACAS in Tasmania) – usually a doctor, social worker or other heath professional – will arrange a time to meet with you at home (or in hospital) to discuss how you are managing day-to-day. The Aged Care Assessment Team can talk to you about the care options available in your area. 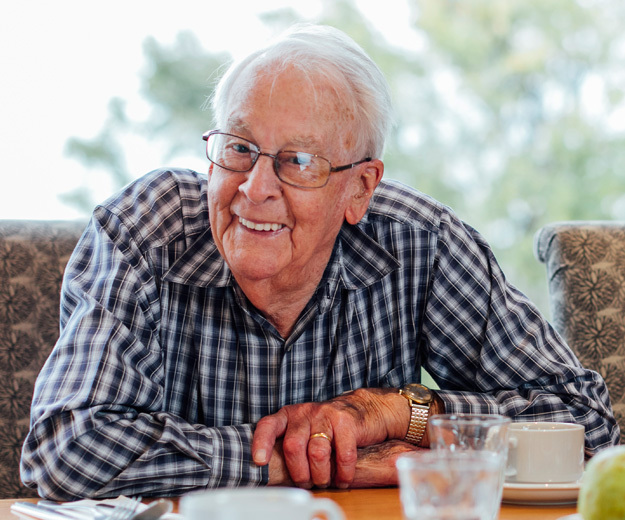 If you need day-to-day assistance and clinical care that is provided in residential aged care, they may assess that you are eligible for a place in an aged care home. They may discuss homes in your areas that might suit you. Or, they may assess that you are eligible for government financial help so that you can get respite care in a residential aged care home for a short-term stay (for example if your carer is away, or needs a break). Or, if you could continue to stay at home but need in-home support services they could assess that you are eligible for a home care package. To organise an assessment visit My Aged Care or call My Aged Care on 1800 200 422. Or, Baptcare can help you to organise this with your local ACAT if that suits you. As part of your assessment you will receive a reference number that we will ask for if you are applying for a place in one of our aged care homes. The best way to see if an aged care home is right for you or someone you care for is to visit, talk to staff and have a tour. You may want to take your letter from the ACAT as it will help you to communicate about what care you require. What are rooms and ensuites like? Are shared spaces pleasant and comfortable spaces to spend time with others? What are the meal arrangements – seating, times, menus, visitors, meals in your room and special diets? Can the home meet your specific needs needs (including language and culture, religious observances, and access to medical visits)? What type of lifestyle and leisure activities do they offer. How are the residents interests and wishes accommodated for? How can family and friends be involved in care? What transport can you access for visiting shops family and friends? Can the home meet your medical needs – for example with medication, wound or catheter care? Will you have access to services such as podiatry, physiotherapy, the services of a dietitian, and speech therapy? Baptcare can organise a time for you and family members to visit our residential aged care homes. A basic daily fee. This covers living costs such as meals, power and laundry. A means-tested care fee. This is an additional contribution to the cost of care. The Department of Human Services works out if you are required to pay based on your income and assets. An accommodation payment. This is the cost associated with the accommodation, including the room that you will occupy. For some people this cost is met in full, or in part by the government (based on an assessment of your income and assets). For some people there is a payment that can be made through an upfront amount, a daily payment or a combination of both. Fees for extra or additional optional services. You may choose to access additional optional services for you or your family member. In this instance additional fees would apply. We encourage people to get independent financial advice that takes into account their situation from a financial planner with expertise in residential aged care. If you are interested in a place in one of our Baptcare homes please fill out a Baptcare application form. You can apply for more than one home at a time. We’ll let you or someone you have nominated as a contact person know when a place becomes available. In some instances we may have a vacancy immediately, but in others we may need to wait until a vacancy that suits your needs becomes available. Waiting lists: If there isn’t a place available immediately we’ll keep in touch about potential vacancies by phone or by email. You or your family are always welcome to contact us to get an update at any time. If a place is offered to you and the time isn’t right you can decline the place and your place on our waiting lists won’t be affected. Ask us to send you an application form for the Baptcare homes you are interested in. 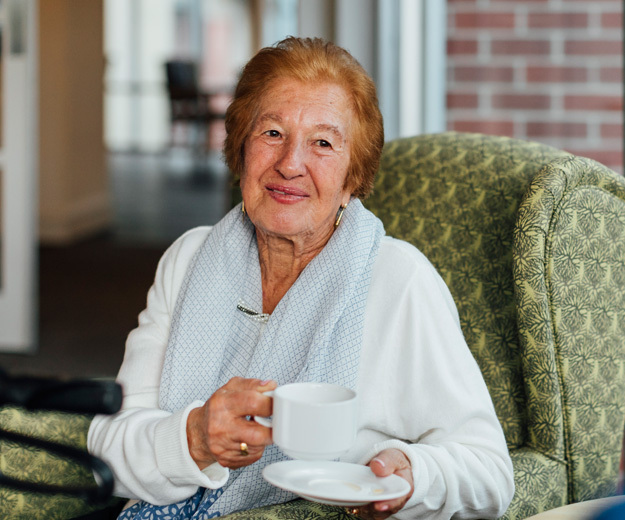 When you choose a residential aged care home you’ll be asked to fill out and sign a Baptcare resident agreement. If we have a suitable vacancy and you would like to move in we’ll sit down with you and your family members that you nominate to discuss the Resident Agreement. This includes what costs to expect and how you can manage payments. We’ll also explain what to expect day-to-day in more detail. This includes more information about care assessments and how we can organise activities and offer other support to help you settle in and make the transition easier for you and your family. The move into residential aged care can be difficult, as new residents deal with leaving behind the past, as well as the home and possessions that have been part of daily life. We encourage residents to decorate their new personal space. New residents meet our Lifestyle Co-ordinator, who recommend activities that will be interesting and helps them to engage with meet others. We ask questions to understand if they may have friends or connections in our communities already. New residents also meet our Chaplains, who look for opportunities to provide additional emotional or spiritual support if it suits. Our Chaplains take particular care in the first three months to offer support to new residents and to their families. We respect the personal room and space of residents, and understand that some people like more time in their own company at any times. Visitors are welcome at any time. Residents and their families and visitors are also welcome to use shared spaces such as dining areas, recreation areas and outdoor courtyards. Our chapel areas provide a peaceful, multi-denominational space for worship.